The Government lifts the cap on support to Fannie and Freddie from $200 billion apiece, even though they are just using now just $60 and $51 billion each. Fannie and Freddie are just another "warehouse that never was." 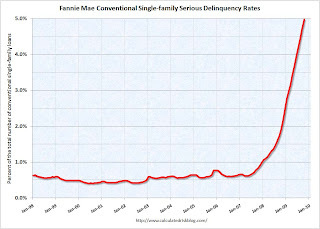 Throw all your housing slop on Fannie and Freddie shoulders, because the speculation is the Government will push for an enhanced version of HAMP concentrating on principal reduction, because the modifications that cut the principal, instead of just kicking the can down the road with a lower teaser rate, stick. Homeowners, that want to stay in their home, are being forced to sell their home in foreclosure at a discount to someone else that wants to buy it. Why not let the homeowner get a modification with a lower rate and a principal reduction, so the modification will stick? And that's why the bears are b*tching. They want calamity, while our Government wants to be re-elected. Those modifications are only for suckers who are so underwater that its a sure thing they will walk. Try getting a principal reduction or modification if you have 50% of the home paid off and see what banks say. Banks will tell you to pay up or get out because they have the upper hand. All this modification crap is for the banks only. The gov could give a damn about the debtor and their problems. When I voted for McCain, I kept on telling my friends that at least he has a pulse. The present administration is a robot with its control in the clutches of "The Dark Hand"
Ah well.I better fold my hands and hope that Palmoni, our hero,is right and my UPRO salvages my retirement.